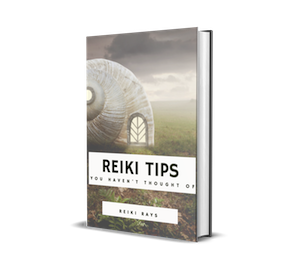 There are many methods to connect to Reiki. We all develop ways that feel right for us and Reiki is right there waiting for us when we do. We think of Reiki as a wondrous, mysterious, divine, energy that we feel entering us from above and it definitely is. It is also the life force energy that is flowing through us and all things all the time so it is also familiar and feels comfortable to us. My favourite way to connect to Reiki, ground, centre and protect as a daily practice is to visualise myself like a tree. This is how I do it, feel free to alter this practice to suit you. Relax, take a few deep breaths and make sure you are comfortable. Start channeling Reiki, I like to do this immediately after Hatsu Rei Ho so Reiki is already flowing. Visualise roots growing from the soles of your feet or base of your spine, and penetrating deep into the earth. See them winding around rocks and other roots, passing by underground creatures, wrapping around crystals and absorbing beautiful Earth energy. Breath in deeply and as you do so feel the Earth energy flow up your roots into your body. What colour does that energy look to you? Does it fill your entire body? Notice where it flows to and where it doesn’t. If it feels right to do so. Take three breaths whilst drawing up the Earth energy, on the exhale and feel the energy filling your body. Next, visualise branches growing from the top of your head/crown chakra up into the air where they can absorb divine healing Reiki energy. See the branches gently swaying, absorbing and drawing down Reiki into your body. This time as you inhale feel the Reiki fill your body, If it feels right to do so you can use the energy to clear and heal any blocks or areas that you need to release. Take three breaths drawing in Reiki on the inhale and on the out breath visualise the energy exuding out from your physical body in all directions, flowing through your Aura, healing and cleansing as it goes. You can ask for anything that is not for your highest good be removed from you and transmuted into pure love light energy for the universe to be used for the highest good of all. Visualise the energy sealing around your Aura in a protective shell, only love and pure good can enter. Take three breaths drawing energy from both above and below mingling the energies within your self. With each exhale and send the energy out to the world for whatever healing purpose feels right to you. Use your intuition and act according to your values. While you are in this state realise you are exactly where you are meant to be. Your footprints upon the earth mark your space, only you can fill that space and that is where you belong. You take that belonging wherever you go, it is right there where your feet touch the Earth. You are important, valid, needed, your unique self-brings something only you can to that Earth space. Also feel that connection to above, to Reiki, the Divine (in whatever form you relate to it), the Universe, collective consciousness, the All. You are part of that too, without your connection to that there’d be less light on the Earth. You are a much-needed channel for Reiki love and light. You are this beautiful tree, nourished from above and below and a vital link between the two. This is where you belong, a beautiful soul on an Earth journey. Finish by taking three more breaths, again drawing the energy from above and below then sending the beautiful mingled energies back down your roots into the earth and up through your branches above. Send the energy above and below with love and gratitude. 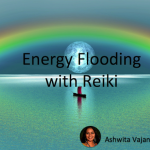 I have found this exercise has really helped give me confidence and feel valid, that I belong and have a purpose as well as strengthen my connection with Reiki.